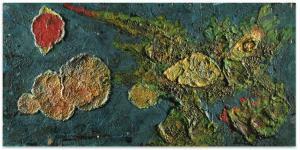 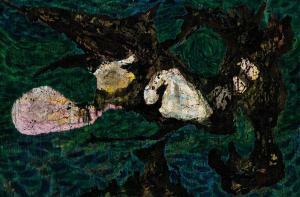 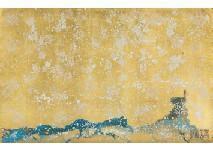 Find artworks, auction results, sale prices and pictures of Toshimitsu Imai at auctions worldwide. 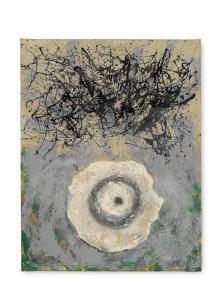 Work IMAI Toshimitsu (a set of 3) 1983, mixed media on paper, paper size 60x95cm, sealed, this lot accompanies other works; 【Work(reversible)】(1992, mixed media on paper, 21.6x65.5cm, both are signed)【Sakura and Wave】(1995, mixed media on paper, paper size 23.8x48.5cm, signed, also signed, titled and dated on verso), all not framed. 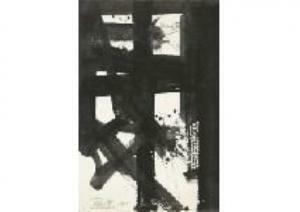 Work IMAI Toshimitsu (a set of 3) 1993, acrylic on paper, paper size 57x38cm, signed, also signed and dated on verso, this lot accompanies other works; 【Work】(1993, acrylic on paper, paper size 57.2x38cm, signed, also signed and dated on verso)【Work】(1996, acrylic on paper, paper size 50x35.3cm, signed), all not framed.